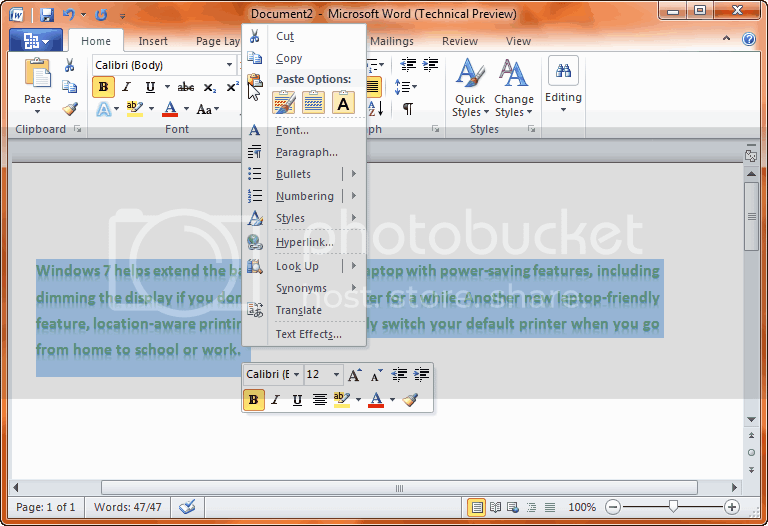 There is a little bit of change in Paste Options of Office 2010 from its previous version Office 2007. Live preview with images of options is added and Paste options is also present in right click options in it. 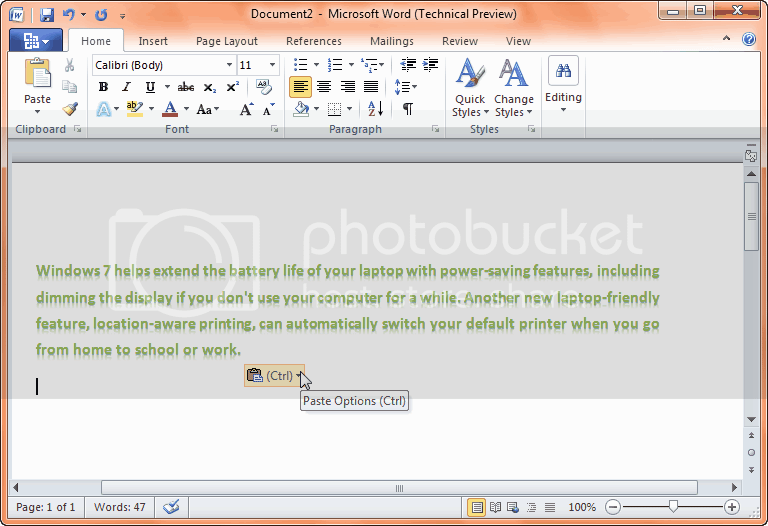 When any text is copied from other place then in Word 2010 there will be a prompt asking about the paste options to be opted while pasting the text. Here we can choose whether we want simple text or keep source formatting or match destination formatting. We can see the live preview by hovering over respecting option that how it will look after pasting the content over there and then we can choose one of it. Paste Options comes at the end of text pasted. Shortcut for enabling it is CTRL. Paste Options for Keep Source formatting. 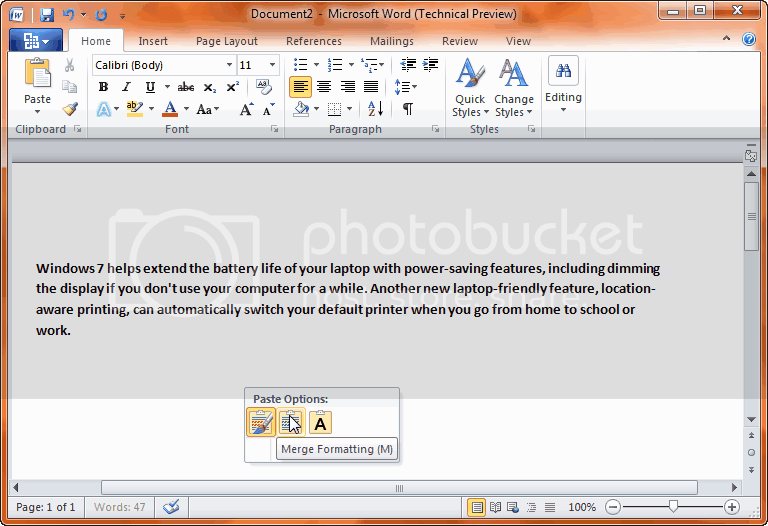 Shortcut for it is CTRL + K.
Paste Options for Merge formatting. 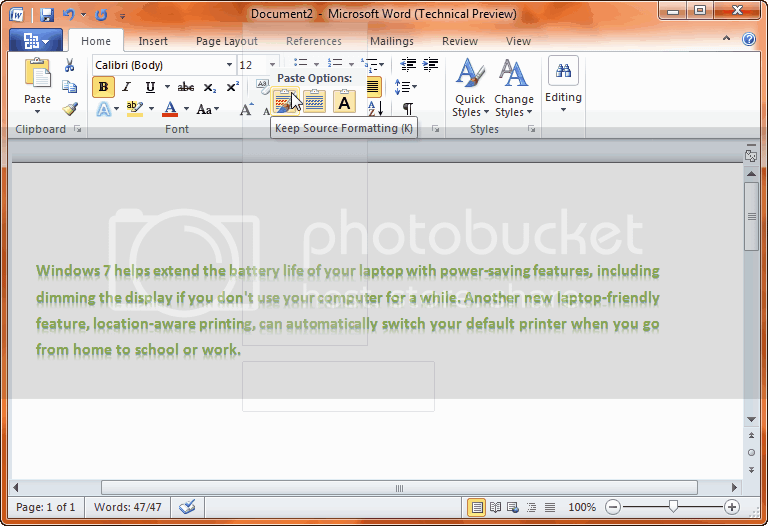 Shortcut for it is CTRL + M.
Paste Options for Keep Text Only. Shortcut for it is CTRL + T.
Paste Options for enabling Paste Options in Right Click. Live preview of text when mouse hovers over one of the options.